MRSA Infection and Surgery—What Can Be Done to Prevent It? Bacteria can be found everywhere. You even have bacteria living on your body, from inside your nostrils to the surface of your skin. Generally, this doesn’t cause any problems. However, any time you have a break in your skin, whether it’s a small cut or a surgical incision, it gives the bacteria an entry point into your body. In some cases, this can lead to an infection. Most infections can be treated with antibiotics, but over the years, certain strains of bacteria have become resistant to the drugs used to treat them. One example is methicillin-resistant Staphylococcus aureus, also known as “MRSA.” MRSA is resistant to several common antibiotics. It can lead to serious infections and is a leading cause of surgical site infections. 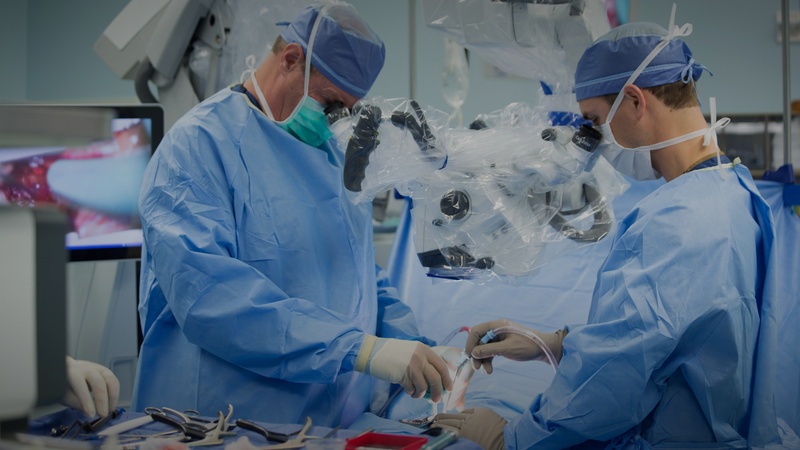 If you are considering having surgery, here are some important things to know. As mentioned above, some people can carry MRSA on their skin, but don’t get sick as a result. This is called being “colonized” with MRSA. Other people may have MRSA enter through an opening in their skin and develop an active MRSA infection. Both those who are colonized with MRSA and those who are infected with MRSA can pass the bacteria on to others. MRSA can also live on objects and surfaces, such as doorknobs and countertops. It can be transmitted when someone comes into contact with something contaminated with MRSA. How can MRSA surgical site infections be prevented? Surgical site infections, especially MRSA-related ones, are associated with increased complications, higher medical costs, longer hospital stays, and higher rates of readmission. But there are things that can be done to decrease the likelihood of becoming infected with MRSA before, during, and after an operation. Hospitals and surgical centers have designated protocols that they follow to prepare for surgery. This includes members of the surgical team “scrubbing in” with a special cleanser on their hands and arms, wearing protective gear such as gowns and gloves, and cleaning the operating rooms and medical equipment used for surgery. These steps help to prevent MRSA (or any other germs) that could be on team members’ hands or surgical instruments from being passed on to you during the procedure. Some facilities also screen patients to see if they’re colonized with MRSA prior to surgery. Usually, this involves a simple swab of your nostrils or skin to check for the presence of the bacteria. If you are found to be a carrier, you may be given an ointment to use in your nose and a special soap to use on your skin in the days leading up to surgery. The goal of this treatment is to “decolonize” or get rid of MRSA so it won’t enter into your incision during surgery. After surgery, one of the most important things to do to avoid infection is also one of the simplest: wash your hands and make sure anyone you come in contact with does, too. Good handwashing with soap and water or an alcohol-based hand sanitizer are crucial to stopping the spread of MRSA and other harmful bacteria. Can I ask potential surgeons about their MRSA infection rates and infection control protocol? Yes! And you should. Having surgery is a big deal, and you want to do everything you can to minimize your risk of complications down the line. Though MRSA is treatable, it can be challenging. Strive to find a surgeon with great technical skills and low infection rates. According to a study done by the Centers for Disease Control and Prevention (CDC), MRSA infections in the healthcare setting are decreasing, but nonetheless, these infections are still considered a serious threat to patients. This is why, at DISC Sports and Spine Center, we are proud to maintain a zero MRSA spine surgery infection rate. We do everything we can to minimize your risks so you can get back to living your life as quickly, easily, and safely as possible. discmdgroup DISC Sports and Spine Center (DISC) is one of America’s foremost providers of minimally invasive spine procedures and advanced arthroscopic techniques. Our individually picked, highly specialized physicians apply both established and innovative solutions to diagnose, treat, and rehabilitate their patients in a one-stop, multi-disciplinary setting. With a wide range of specialists under one roof, the result is an unmatched continuity of care with more efficiency, less stress for the patient, and a zero MRSA infection rate. Read more articles by discmdgroup. Don't live with pain. Call now for a better tomorrow.